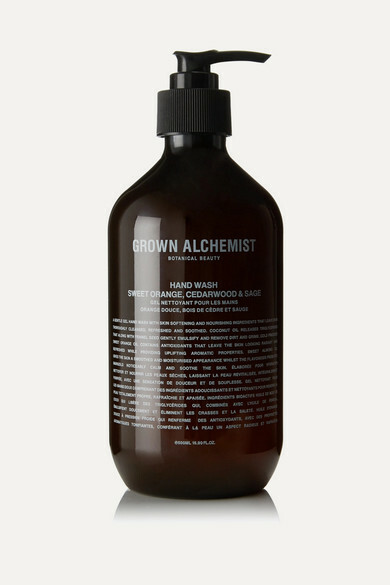 Grown Alchemist's hand wash cleanses your skin without stripping away its natural moisture. Coconut Oil and Fennel Seed remove dirt, while Cold Pressed Sweet Orange Oil moisturizes, soothes and refreshes. It's infused with smoothing Sweet Almond Oil to leave your skin feeling soft, too.